NEW YORK Exxon Mobil Corp. (XOM) expects production to decline by about 1 percent this year due to weaker output of natural gas, then rise in the next few years as new projects start up. The oil and gas giant expects annual production to rise by 2 percent to 3 percent per year through 2017. The company gave the forecast Wednesday at its annual meeting with analysts. Exxon Mobil's production fell 6 percent last year, but the company still earned $44.9 billion, barely missing its own 2008 record, thanks to higher refining margins. Analysts have raised concern about Exxon's falling production and the higher costs of extracting hard-to-reach oil and gas. CEO Rex Tillerson said that 2012 production fell short of the company's expectations because of "operational performance issues" at some facilities, lower prices and lower spending in Iraq. Tillerson said output would rise after 2013 as Exxon starts production at 22 major projects over the next three years, including expanding the Kearl oil sands operation in Alberta, Canada, and exploration in the Russian Arctic. He said most of the increase will come from oil production. The company expects to spend $190 billion on exploration and development over the next five years. Exxon Mobil still predicts that global energy demand will grow 35 percent by 2040 with oil and gas accounting for more than coal, nuclear or other sources. 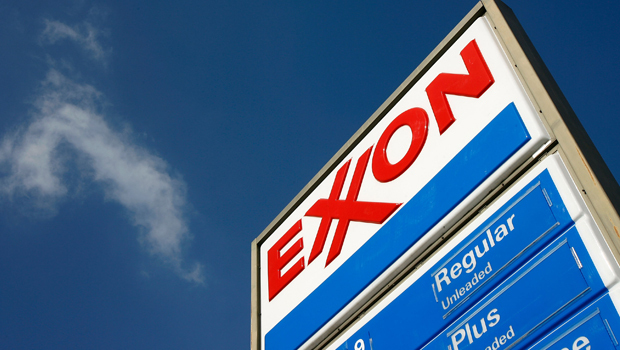 Shares of Irving, Texas-based Exxon Mobil fell 44 cents to $89.17 in morning trading. They began the day up 3.5 percent in 2013.